Greetings programmes! After another massive delay caused by too much going on at work, causing me to relax (among other things) in front of the Xbox rather than sit down in front of the microphone every month or two, here’s the first episode of 2011(!). Hopefully making up for the radio silence with nine carefully selected tunes – including not one, but two classic remixes. As usual mixed in with a brief recap of what’s been happening in the world of C64-related music. Please leave a review on iTunes and help others discover these great tunes. If you’re on Xbox Live and feel up for some online multiplayer action, look up “Don Kwed“. Yay! 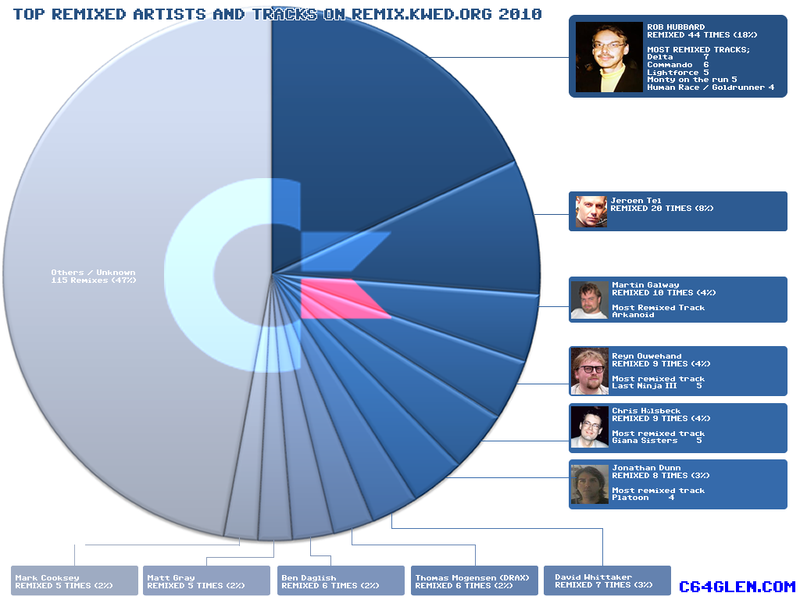 The annual C64 Remix Podcast just released its episode for 2011! 😀 Just kidding. Hope you find the time to sit in front of the microphone more often now. Thank you Jan! Top notch as always! Thanks again for another cool c64 podcast, so many memories!!!! Thanks for hanging in there; giving out more shows! Made my day! Just wanted to say, thanks!!!! Still listening; still hoping for more. Excellent show. Came out right when I had a lot of work to do and nothing to listen to, conveniently. Awesome to have another podcast, and a brilliant one at that thanks Jan! Jan! *Phew* thought we had lost you to married life! I’m getting here abet late, but still…I haven’t had a good c64 mix fix in several k! Thanks for keeping the scene alive! And for continuing to maintain RKO! What a great surprise all of a sudden! @Per Fredrik : True, Copenhagen isn’t exactly mountain territory. 🙂 We do have several pretty good single tracks about half an hour away, though. Great show – great to have it back! Keep up the great work! @Jan You gotta check this thing out! It’s got C64! Legos! And several references to PPoT and International Karate! If you play this back in 1080p, and watch the black and white video scenes, you’ll note that they’re made from legos!!!!! this it my first time on c64takeaway. Im amazed from the beutiful sounds, and the creators. lookin forward for more, and assist where Im able to. Thanks for some utterly amazing shows.